The size at Ocean Beach is usually deceiving, but the cold never is. A fall surf check can have you shivering before you even start paddling out, and that makes our new Better Sweater(R) Hybrid Hoody the last piece of warmth to come off before you run across the Great Highway to the waves. 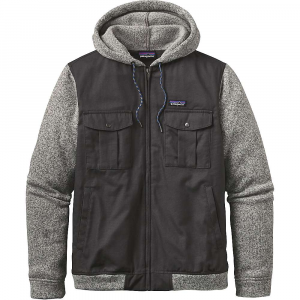 The body is made from our durable midweight 100% organic cotton duck canvas with a DWR (durable water repellent) finish, while the sleeves, hood, cuffs and bottom hem are made from 10-oz 100% polyester Better Sweater fleece with a sweater-knit face. The full center-front zipper has an external storm flap that secures with hidden snap closures; the zipper and zipper pull are made from noncorroding and recyclable plastic for extended durability in damp environments. 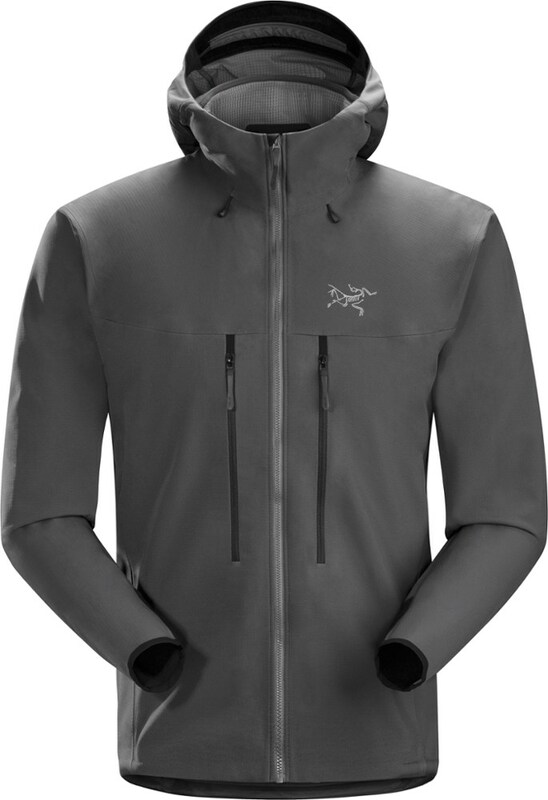 Other features include climbing-rope detail on the front zipper pull and hood drawcord; two cargo chest pockets with curved flaps and snap button closures; two fleece-lined side-entry handwarmer pockets; and an interior, left-chest security pocket with zipper closure. Hip length. 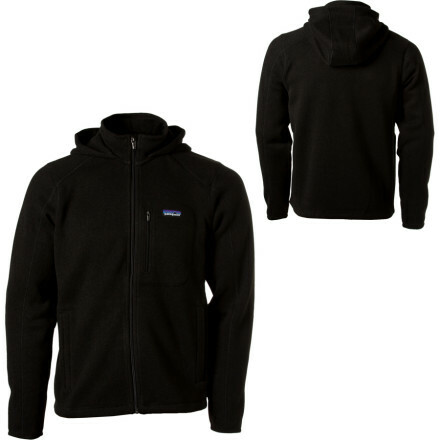 Patagonia Mens Better Sweater Hybrid Fleece Hoody - Sale - The size at Ocean Beach is usually deceiving, but the cold never is. A fall surf check can have you shivering before you even start paddling out, and that makes our new Better Sweater Hybrid Hoody the last piece of warmth to come off before you run across the Great Highway to the waves. 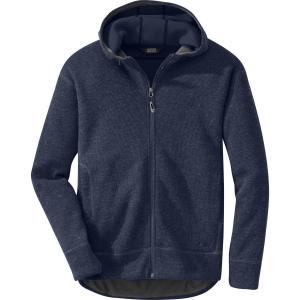 The body is made from our durable midweight 100% organic cotton duck canvas with a DWR (durable water repellent) finish, while the sleeves, hood, cuffs and bottom hem are made from 10-oz 100% polyester Better Sweater fleece with a sweater-knit face. The full center-front zipper has an external storm flap that secures with hidden snap closures; the zipper and zipper pull are made from noncorroding and recyclable plastic for extended durability in damp environments. 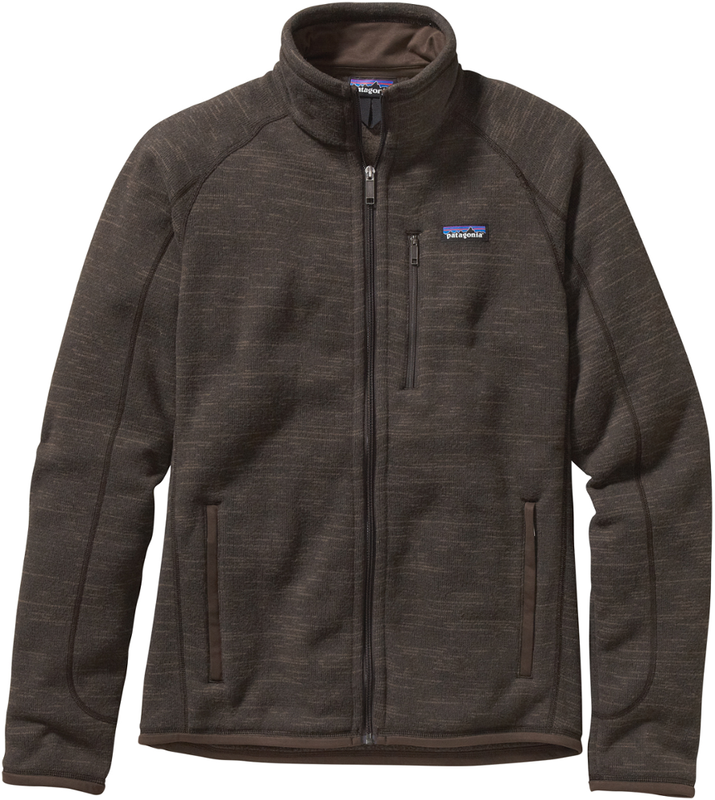 Other features include climbing-rope detail on the front zipper pull and hood drawcord; two cargo chest pockets with curved flaps and snap button closures; two fleece-lined side-entry handwarmer pockets; and an interior, left-chest security pocket with zipper closure. Hip length. 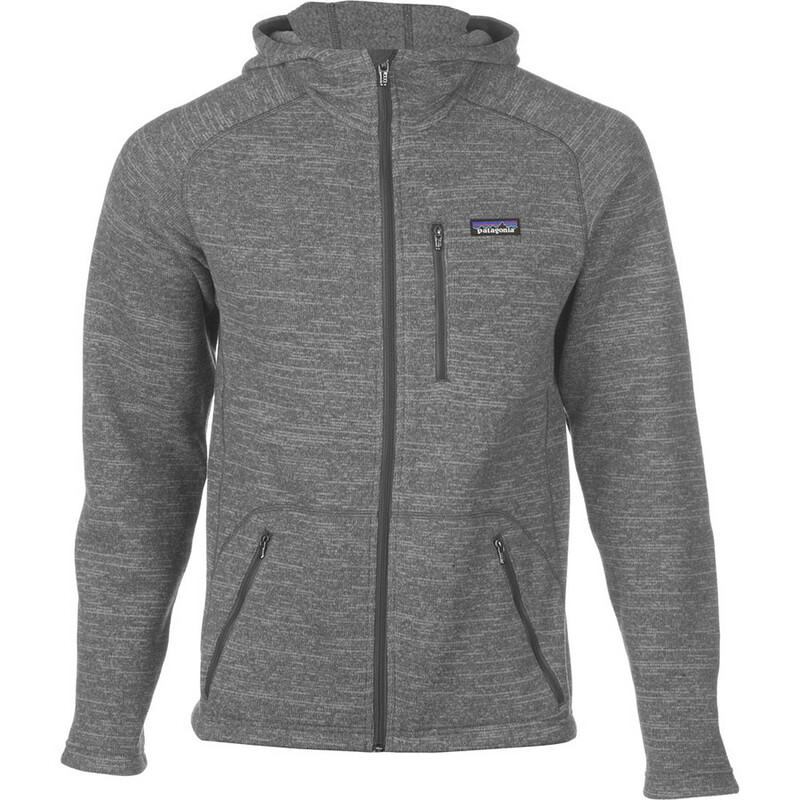 The Patagonia Better Sweater Hybrid Hoody is not available from the stores we monitor. 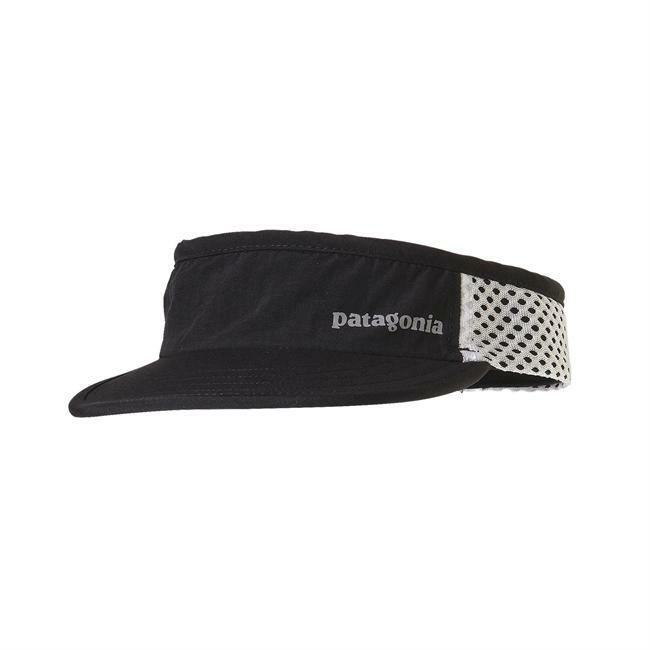 It was last seen November 23, 2017	at Patagonia.com.